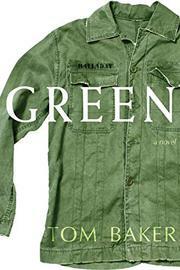 A novel tells the story of a gay Army recruit in the Vietnam era. In 1967, Tim Halladay has just graduated from college when he gets his draft notice in the mail. His request for a deferment to attend the Yale School of Drama is denied, and he refuses to employ his only other out—the fact that he’s gay. Even straight men are “checking the box” to avoid military service, but Halladay refuses to do the same even if he can’t explain why: “For what? To prove something…that I was as good as the next guy…I would never ‘check the box’ to get out of serving in the military.” The war in Vietnam means this decision may cost him his life, but he nevertheless reports to the Army Training Center at Fort Jackson, South Carolina. From the beginning he is derided as a rich kid and college boy by his fellow recruits, none of whom seem any more pleased to be there than he is. Despite their differences, friendships are formed, and through the rigors of basic training, Halladay experiences a camaraderie that is both alien and comforting. He works to make a place for himself in the military hierarchy, but he can only keep his identity hidden for so long. It may not be Vietnam that brings him down but rather his own sexual past. Narrated by Halladay in the first person, Baker’s (Paperwhite Narcissus, 2014, etc.) prose is fluid and full of personality, packed with humor and astute observations about the soldier’s world and the characters who inhabit it. His treatment of the culture of the Army is particularly entertaining, full of nicknames, machismo, and physicality that take on added meaning given the protagonist’s hidden orientation. This is not a tale about war; Halladay never makes it that far. Rather, this is a story about the military at home: the manner in which it forces people into its structures and the ways in which it is and isn’t a microcosm of society. Halladay makes for an adept and compelling guide through this environment. A sharp and intriguing tale about a gay draftee in the ’60s.